Listen here at RNZ National. Great interview! Really can’t get my ahead around a journal that says ‘this is not poetry’! We should be long over such restrictive attitudes to what a poem is. This entry was posted in NZ author, NZ poems, NZ poetry, Uncategorized and tagged Jesse Mulligan, Paula harris on September 5, 2018 by Paula Green. You can hear the discussion and read Louise’s fabulous poem. Check out Fiona’s full sequence in Where Your Left Hand Rests (Godwit, 2010). It is poetry in an exquisitely produced book. This entry was posted in NZ poems, NZ poetry, NZ poetry book, Uncategorized and tagged fiona kidman, Jesse Mulligan, Louise Wallace on May 31, 2018 by Paula Green. Auckland poet, Simone Kaho, is from New Zealand and Tongan ancestry. She earned her MA in creative writing from the International Institute of Modern Letters. Her poetry has been published in journals such as JAAM, Turbine, and The Dominion Post. 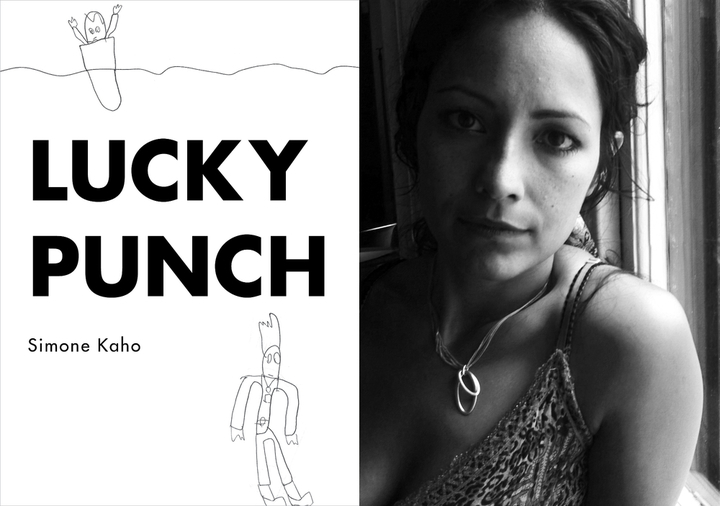 She joins Jesse to read from her book Lucky Punch. This entry was posted in NZ author, NZ poems, NZ poetry, NZ poetry interview, Uncategorized and tagged Anahera Press, Jesse Mulligan, simone kaho on March 17, 2017 by Paula Green. Hera Lindsay Bird reads a poem for big fan, Jessie Mulligan, to celebrate Valentine’s Day. Listen to ‘If you are an ancient Egyptian Pharoah’ here. This entry was posted in NZ author, NZ poems, NZ poetry, Uncategorized and tagged Hera Lindsay Bird, Jesse Mulligan on February 14, 2017 by Paula Green. This entry was posted in NZ author, NZ poetry, NZ poetry event, Uncategorized and tagged Jesse Mulligan, Selina Tustitala Marsh on March 9, 2016 by Paula Green.